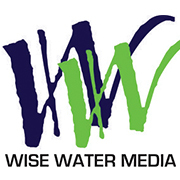 Wise Water Media is a company made up of a bunch of really exceptional people. We all offer different expertise – from graphic design to a full spectrum of integrated services that include; Creative, Production, Media, Events, Promo Material and PR. We’re an integrated media company offering a range of services, from design to branding and event management. We bring our full range of in-house services together to provide complete, exceptional, services to all of our clients. Everything we do is carefully managed to provide the ultimate service, knowledge, and products to our clients. We never use templates or standard ideas to produce our work – everything is custom made for your particular needs. We believe graphic design is about more than just “being pretty” we craft innovative visual stories that attract. We design engaging, interactive, great looking websites, that truly represent your business. From business card printing to billboards printing– we offer it all. A flair for the magnificent, the enjoyable, the entertaining, the flat-out spectacular runs through our core. Specialist in publications and customer magazines, which compete in quality, design and reader appeal. We make design exciting ! !